You can save money and time by transacting at a Baobab agent near you. That’s the key message being communicated to clients during the Baobab Campaign that was launched in Senegal in mid-September and will run until December. The Baobab agents are a network of service points where Baobab clients can conduct transactions. The agents conduct cash-in and cash-out transactions as well as money transfer services for Baobab clients using biometric devices and laptops to tap into Baobab’s system. These transactions include repaying loans, depositing or withdrawing savings and transferring money from one account to another. 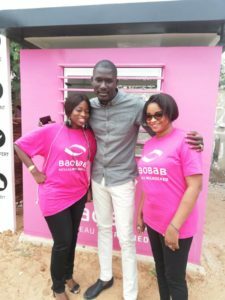 Since September, every Wednesday has been dedicated Baobab Day and the front office staff in all Baobab Senegal branches have been tasked to raise awareness amongst clients about the Baobab agent network: Where is the point of service nearest to their home or business? What are the benefits of using the network to repay their loans? In parallel, Baobab has been awarding agents and their employees for their hard work. Agent employees are often overlooked but they are the client facing staff conducting transactions while the agents manage their other businesses or points of service. Since September, each Baobab branch has awarded the agent employee with the highest number of transactions on a monthly basis with special prizes and gifts. At the end of the year, the overall best agent employee will receive a smartphone. 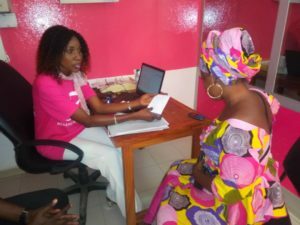 As a result of this campaign, Baobab Senegal has seen a 7% increase in client transactions through the agent network from September to October 2018.